price listed includes Postage and packaging - every copy signed! It seems certain that as long as Biddy Early is remembered mystery and argument will surround her name. She was a remarkable woman who possessed extraordinary powers and natural gifts of knowing the unknown. 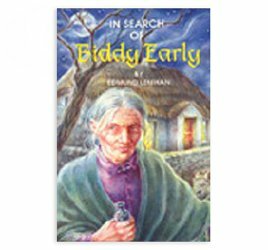 The very mention of Biddy Earlys name in any part of Ireland, especially in County Clare, releases an astonishing amount of stories about her cures, her magic bottle, her gift of prophecy and her many other curious talents. 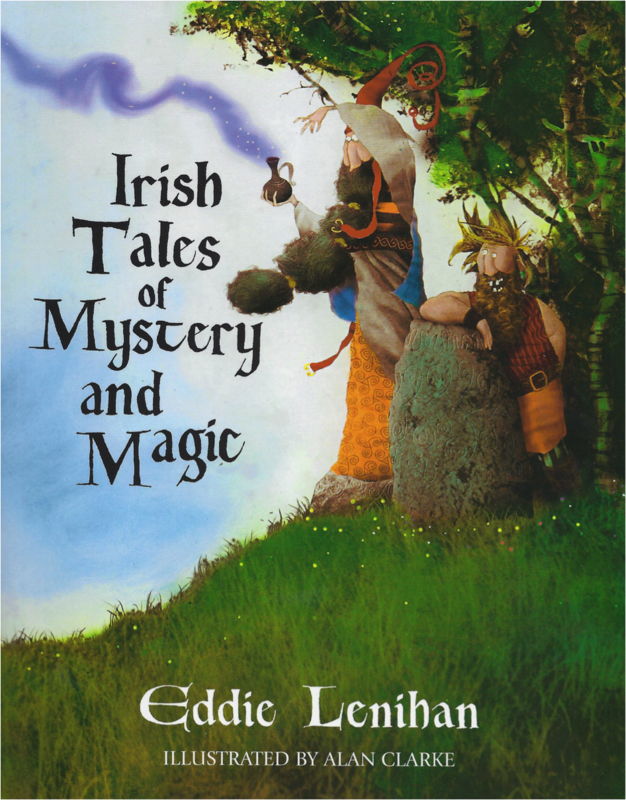 A stunningly illustrated compilation by seanchai Eddie Lenihan, which will charm, entertain and amuse children of all ages. From the story of Fionn McCumhaill's bunions, to the Fianna's concern over their rotting teeth, these stories tell of the adventures and bravery of the ancient Irish heroes in the face of scary and spooky challenges. 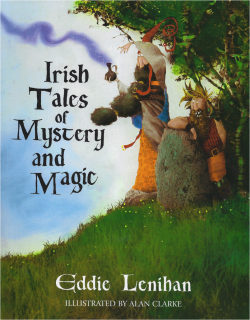 "Stunning illustrations wonderfully compliment the storyteller's art"
At last Eddie Lenihan’s new Fionn MacCumhaill adventure stories for young readers are now available in bookshops and directly from the author. Hardback, beautifully, humorously illustrated throughout, this set of three books will make an ideal gift for any occasion, special or ordinary. Even adults will not be able to resist a smile at some of those illustrations by internationally-renowned artist Alan Clarke. 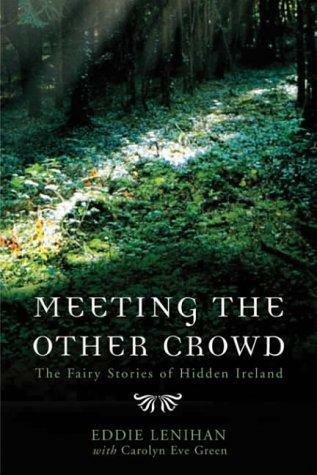 ´The Other Crowd’, ’The Good People’, ’The Wee Folk’ and ’Them’ are a few of the names given to the fairies by people in Ireland. Honoured for their gifts and feared for their wrath, the fairies remind us to respect both the world we live in and forces we cannot see. 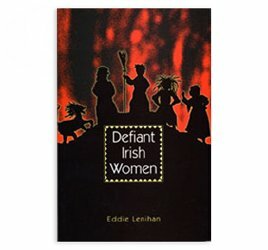 This book tells the story of five Irish women who were unusual in a variety of ways mostly because of their ruthlessness, political cunning or merely because they rebelled violently against the repressive mores of their times. These five women Oibheall the banshee, Maire Rua McMahon, Lady Betty, Moll Shaughnessy and Alice Kyteler each have their distinct place in history. Eddie Lenihan, in telling the stories of their lives and the legends that grew up around them, ensures that we will not forget the prominent part played by these women in our Irish heritage. Whether one is a night-rambler, a fisherman, a gambler or a plain ordinary farmer, there are certain things one does not do, certain conventions that must be obeyed, such as not fishing on Good Friday or talking to spectral figure in graveyards in the dead hours of the night. But sadly, common sense cannot always be depended upon. People get themselves into dangerous predicaments in spite of all warnings. The only trouble is that when the cause of trouble id the Devil, the consequences for the luckless victim are very serious indeedunless he has the presence of mind to beat the Evil One. Although trains are unlikely to ever again run between Ennis and Kilkee, the legend of this little branch line of the southern railway system will live on as long as there are people who look back fondly on the past. Anyone with even a superficial acquaintance with Clare will know what a wealth of varied scenery it contains, together with abundant archaeological sites and historical remains spanning over 5,000 years of human habitation. Not least of these are the earthworks of the West and South Clare Railways. Eddie Lenihan believes that a time will come when parts of these lines will be preserved as national monuments, but until that happens their destruction will continue. For what was a railway is now a disjointed succession of pieces linking not just places but in a way two worlds: one unhurried and traditional, the other brash, frenzied and modern. 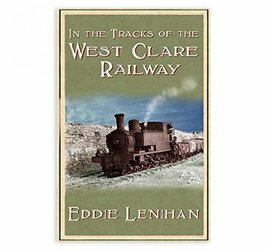 In the Tracks of the West Clare Railway paints an evocative picture of a time when the railway breathed life into West Clare. 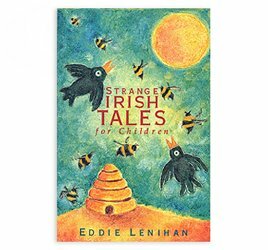 Strange Irish Tales for Children is a collection of four exciting stories: How the First Blackbird Came to Ireland, The Strange Case of Sean na Sul, Taoscan MacLiath and the Magic Bees and Fionn MacCumhaill and the Making of the Burren. The stories tell of the hair-raising adventures of the Fianna and of their fighting and hunting. 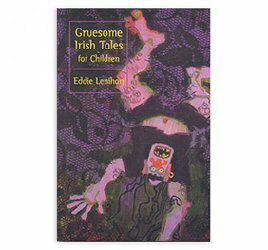 Two terrifying tales about the darkness, fear and terror in the lives of Fionn MacCumhaill and Cúchulainn. These stories tell of the adventures and bravery of the ancient Irish heroes in the face of scary and spooky ordeals and challenges. Two stories about the Fianna, Ireland's mythical band of heroes. The first concerns decayed teeth; the second is even more vile and disgusting and concerns spitting contests which the Fianna devised to while away the long winters when they were short of fighting and hunting. Further adventures of Fionn and the Fianna. Fionn MacCumhaill must solve the eerie and terrible mystery of the gruesome deaths at the palace of Tara. 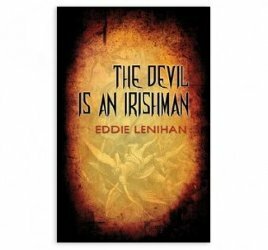 Well-known author and storyteller Eddie Lenihan brings to life stories that he originally told to his son, Keith. In doing so, he preserves the freshness and immediacy of the spoken word and recreates it on the page. 'The Wake of 'Carraig Clancy'' is a story of Corca Baiscinn, the remote west of Clare, and its self-proclaiming emperor, Boethius 'Carraig' Clancy. When this great leader chokes to death on a fishbone, in undignified and suspicious circumstances, the wake that follows sees assorted heroes and warriors, keeners, druids and scribes collected together for the sombre occasion. The gathering descends first into chaos and later into legend, remembered even to our own day. 'Fionn Mac Cunhail and the Brainball Factory' tells the tale of one of the less savory aspects of Irish warfare in the heroic age of Fianna. Bloody and mysterious happenings at Tara lead the High King's druid to the conclusion that brainballs - the most sinister and detested weapon of the ancient world - are being manufactured in the wilds of Ulster, despite a strict royal ban. Such defiance cannot be tolerated, and so Fionn and his men set out to find the maker of the evil weapons and bring him back to Tara to account for his vile deeds - if they can, that is! 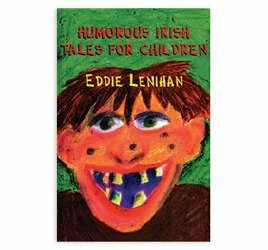 Eddie Lenihan cooks up a tale of dragons, monsters and hags - and the indomitable Fionn MacCumhaill. 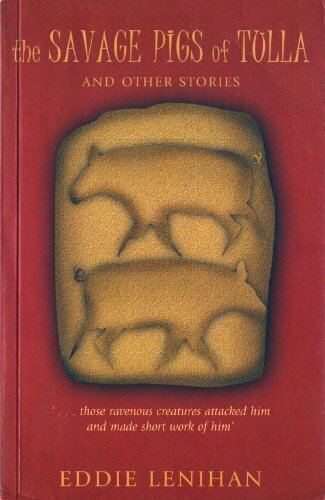 In the title story of this superb collection, a farmer meets an unfortunate fate at the hands of his own pigs after an unsuccessful journey to market, and the village priest and the local garda sergeant clash over what should be done in the aftermath of the event. The other stories arc: 'The Man Who Couldn't Dream', 'The Lady in White' and 'The Magic Hammer'. 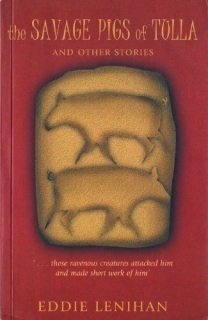 A heart warming collection of colourful folk tales and stories which were told around the turf fire in days gone by.